In search of braces in Richmond West, Fl? Dr. Carmen Briceño Crespi of Lakes Orthodontics is a leading provider of metal and clear aligners in the Richmond West area. If you are ready to stop being conscious about her smile e-mail us today. Orthodontic Braces is a thing that a lot of children use to help adjust their teeth. Braces can perform a lot more than boost your smile, however you you have got to take time to care for them properly. There are several tips that you need to know about when taking care of your braces; like flossing & brushing. You must gently clean your braces as well as your teeth to to be sure that there is absolutely no plaque build-up. To get this done, you must floss and brush your braces and teeth properly. There are many steps that you should take when doing this. The first is to get your braces ready for brushing. To get this done, you have to get rid of the elastics from the braces as well as any other removable parts. These parts may become broken whenever you brush and can cause problems. You are going to have clean your braces with your brush. You should hold the brush at a forty-five degree angle to be certain that you wash about the wire and pins. You ought to clean every wire from all the way through and take your time to ensure that you remove all the plaque and debris. Our recommendation is that you begin with the braces on your upper teeth and then the lower teeth. As soon as you have cleansed your braces, you must clean your teeth. Each tooth must be cleansed individually with a circular motion. You have to be cautious with the level of pressure you apply when cleaning your teeth and brush both outside and inside surface of the teeth. Once a day, you need to floss your teeth. Your orthodontists will be able to demonstrate to you the best method to floss around the braces that you have. You have to keep to these steps and use a flossing product that was made to be used with braces. After flossing, you must rinse your mouth with some water or mouthwash. You need to then examine your teeth and braces in the mirror to look for spots that you might have missed. If you discover any, you will need to clean that area again to ensure that your braces are well cared for. Why Choose Lakes Orthodontics as Your Richmond West Orthodontist? In the time you have your braces, you need to frequently go to your orthodontist. This can help you keep your braces and make sure that fit correctly. Routine adjustments is going to be done through the entire time you might have braces and you might feel some tightness at these periods. These visits may also give your dentist the ability to make sure that your braces remain in good shape. When you notice something odd with the braces, you should inform the dentist on you next visit. Issues with your braces can often be repaired fairly easily when they are caught early and they will not give you pain. There are numerous tips that you need to learn about when handling your braces. Cleaning your teeth and braces correctly is important and you need to take the time to do this the right way. You should also be truthful with the dentist with regards to and issues that you have. For additional details about the Richmond West orthodontic treatment offered by Dr. Carmen Briceño-Crespi of Lakes Ortho, please check out at our clear aligners blog! Probably on of the top question we get at Lakes Orthodontics is – How Much Do Braces Cost in Miami? While the cost of braces in Miami may fluctuate between practices, choosing an orthodontist based only on price is not only dangerous but can end up costing patients more money, time and aggravation! It is always important to understand treatment details such as the time and cost of an average procedure but please be careful not to fall victim to outrageous “low-cost” claims of some of these ads. That being said before you go search for “cheap braces in Miami” let us give you some facts about getting braces for you and your kids. Fact #2 – It is irresponsible to advertise a fixed cost for braces, Invisalign and orthodontic services in general without a consultation. No two orthodontic cases are exactly the same. Therefore it is extremely difficult, if not impossible to estimate the treatment details: cost, time of treatment, types of options available, etc. with any level of accuracy. These treatment features are paramount to understand, and the details should be discussed in a consultation with a qualified orthodontist. 90% of the time the fine print on the ad reads: “starting from” and almost 100% of the time it ends up ballooning to a substantial amount higher than what is being advertised. Don’t be fooled by cheap advertising! Fact #3 – An inexperienced dentist can cause permanent damage to your teeth. It is not rare to have patients walk into our office after having had braces on their teeth for 3-5years and experienced no positive result. This is outright irresponsible, and a telltale sign of an inexperienced practitioner. Some of these patients may eventually lose some teeth due to permanent damage to the roots or have discoloration of their teeth. As previously stated, orthodontics is a specialty requiring additional years of training after becoming a dentist and not something you can learn on YouTube or in a weekend seminar at a convention. The moral of the story is one that you have read about and seen on TV repeatedly. Time after time people continue to fall victims to false advertising and end up paying 2 to 3 times more than what was promised in an ad or commercial. The truth is that regardless of what anyone advertises in a commercial or on a flyer if something sounds too good to be true then it probably is. As life continues to teach us, in the end, you get what you pay for. So stop looking for magical offers or Groupon’s that advertise ridiculous things like a Ferrari for $500. Instead, make your decisions on the things that matter most such as experience, quality, and proven results. 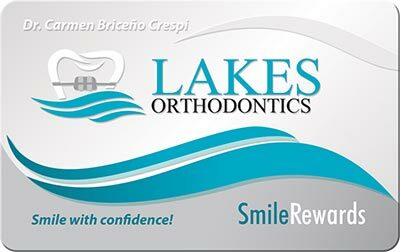 At Lakes Orthodontics we pride ourselves in being 100% family owned and operated with 5-star reviews from our satisfied patients. We are N.W. Miami Dade’s only board certified orthodontic specialist with 1000’s of cases of proven experience. So beware of false advertising and empty promises and remember that if you are looking for cheap braces in Miami get ready to pay more in the long run. Furthermore, If you are looking for the top rated Orthodontists in Miami, give us a call for a free no obligation consultation with an award-winning, board certified orthodontist in Miami.